Nirvana Memorial Park (Tiram) was established since 2001 and is located at Ulu Tiram, about 15 mins to the main town. It has approximately 10 acres of land with excellent geomancy attributes. Nirvana Memorial Park (Tiram) is enhanced with outstanding landscaping and natural environment, surrounded by greenery and exclusive landscape design that reflect the beauty and create an ambience of tranquility. 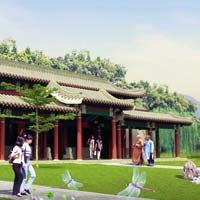 Nestled with lush natural greenery, the park combines oriental traditions and architecture with modern design. 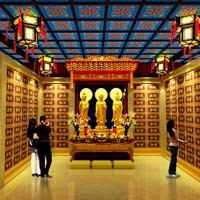 The columbarium comes in traditional and unique design, and the range of single plots and double plots feature different tomb designs to suit the needs of customers various religions. 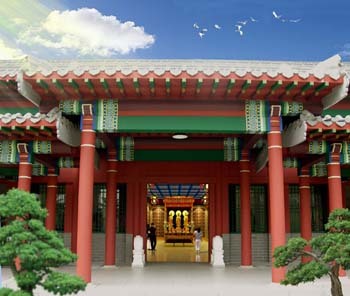 The Nirvana Memorial Park is a member of the International Cemetery, Cremation and Funeral Association (ICCFA) and also the first privatized memorial park in the world to be awarded with ISO 9001: 2000 in recognition of its professionalism, high standard in services, good maintenance and after-sales service. 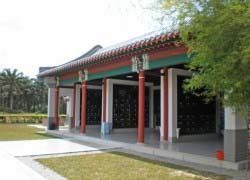 The columbarium is named after Guan Yin. With the compassionate and merciful Goddess of Mercy guarding over it, it enlightens and assures a place of eternity life. The interior calm setting and chairs provide a suitable rest area to visitors. 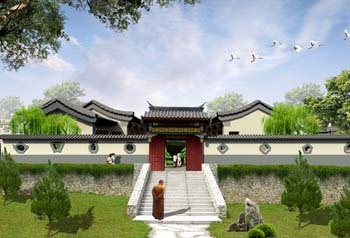 The columbarium is expected to bring infinite blessings and abundance to the next generations. 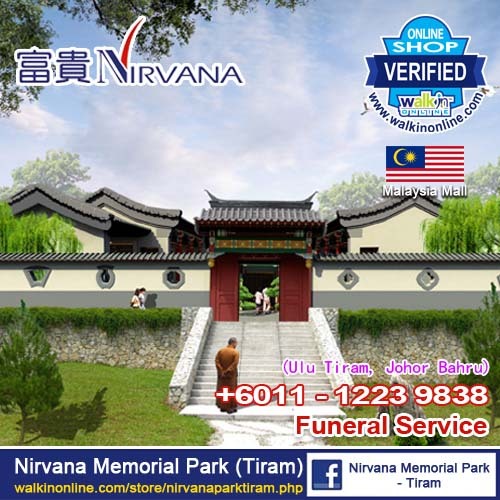 Nirvana Memorial Park (Tiram) is a peaceful, tranquil and well-maintained final resting place that comes with a variety of burial plots featuring different tomb designs. Goddess of Mercy (Guan Yin) represents endless compassion, love and perseverance with the compassionate and kind Goddess of Mercy guarding over and enlightening the Park. Pre-planning of burial plots and erection of tombs help promote longevity and health, passing down prosperity and posterity.